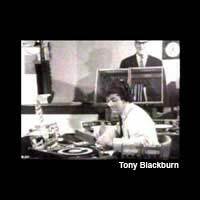 There were high hopes among the young for Radio 1 went it went on the air at 7 a.m. in September 1967, with disc jockey Tony Blackburn spinning the Move's Flowers In The Rain as the first record. It was the start of a new era in BBC radio broadcasting. The pirate stations no longer existed, so, apart from Radio Luxembourg, Radio 1 had a monopoly on pop. But could it deliver with any kind of style? Laws concerning the number of records that could be played on the radio put severe constraints on what the station could achieve. In fact, on that first day, with its big start, Radio 1 was actually only on the air with its own programming for five and a half hours, after which it joined with Radio 2 - the old Light Programme. So, really, it debuted with more of a whimper than a bang - and even then, listeners in some areas had reception problems. It wasn't a good start to replacing the pirates. One strong move was recruiting disc jockeys from the pirate stations. They were far more in touch with the kids, and with music, than almost anyone in the BBC. There were a few holdovers, like Pete Murray and Simon Dee. But their styles seemed outdated compared to the newcomers, especially the American Emperor Rosko, whose brashness seemed outlandish compared to the British reserve of many others. The DJs brought personality and colour to the station, but part of its remit was to cover the spectrum of pop music, which meant more than the charts. Music had changed, with progressive rock becoming more and more popular, so Top Gear was created to cater for that audience. Originally it had a rotating cast of hosts, including Tommy Vance and John Peel, but it soon became Peel's vehicle, and he'd go on to become a radio institution until his death in 2004. Radio 1 was a work in progress. It needed to capture the energy of the pirate stations (as well as retain their audience), as well as develop its own identity. That didn't happen overnight, but by 1968 it was a thoroughly established presence, although it still shared a number of shows with Radio 2 (and would until 1973). Many of the air personalities became celebrities, like Noel Edmonds and Dave Lee Travis (both of whom joined well after the start of the station), or Jimmy Saville, who moved from Radio Luxembourg. The big change came in 1993, when it was determined that Radio 1 needed to be more youthful. To make that happen, a total of 15 disc jockeys were sacked, with the result that listening figures promptly dropped, especially as a new order came regarding playlists, and the fact that any record played had to be less than five years old. Although Radio 1 has largely succeeded in redefining itself, the ironic fact is that Radio 2 has become the old Radio 1, both in musical content, and, to an extent, in disc jockeys.